John Henry De Jager was born on April 25, 1940 to Alfred and Jeanette (Schaap) De Jager in Fenton Township of rural Chandler, Minnesota. He attended Southwest Christian School, graduating in 1958. On March 23, 1964, he enlisted in the United States Army Reserve. John remained in Murray County and helped his father on the farm until February 24, 1970 when he was united in marriage to Elberta Kooiman at the First Reformed Church in Edgerton, Minnesota. The couple made their home in Slayton, Minnesota where they resided until 1980. At this time John and Elberta built a new home in Edgerton that they shared for 38 years. John began his career in law enforcement after his honorable discharge from the military in 1970 as a Slayton City Policeman. He later became Pipestone County Deputy Sheriff in 1980. In May of 1994, John retired from the police force but remained busy helping his community with windshield repair. On Wednesday, May 23, 2018, John passed away at the Edgebrook Care Center at the age of 78 years and 28 days. John was baptized on May 26, 1940 at the Chandler Christian Reformed Church. 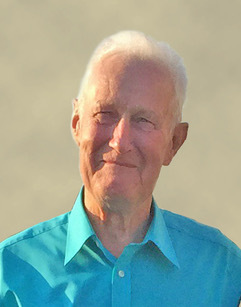 His faith continued to play a large role throughout his life and he served on the Edgerton Christian Grade School Board. In his free time, John enjoyed gardening, yard work, and tending to his apple trees. John loved his family deeply and cherished the joy that his children and grandchildren brought to his life. He is survived by his wife, Elberta De Jager of Edgerton; children, April (Vincent) Brouwer of rural Jasper, Minnesota, Amber (Travis) Schaap of New Prague, Minnesota, Autumn (Brendon) Emberson of Waltham, Minnesota, Arla (Jason) Johnson of Sioux Falls, South Dakota, and Aaron (Nicole) De Jager of Harrisburg, South Dakota; grandchildren, Alisha (Justin) Miedema, Victoria (Lucas) Frahm, Kaitlynn Brouwer and friend Justin Van Grootheest, Grant, Emily, and Derek Schaap, Chloe and Marlea Emberson and Danny Kastner, Dane, Dalton, and Delani Johnson, and Quinn De Jager; and sister, Viola (John) De Kruif of Tempe, Arizona. John was preceded in death by his parents, Alfred and Jeanette, and brothers, Clarence and Clifford.